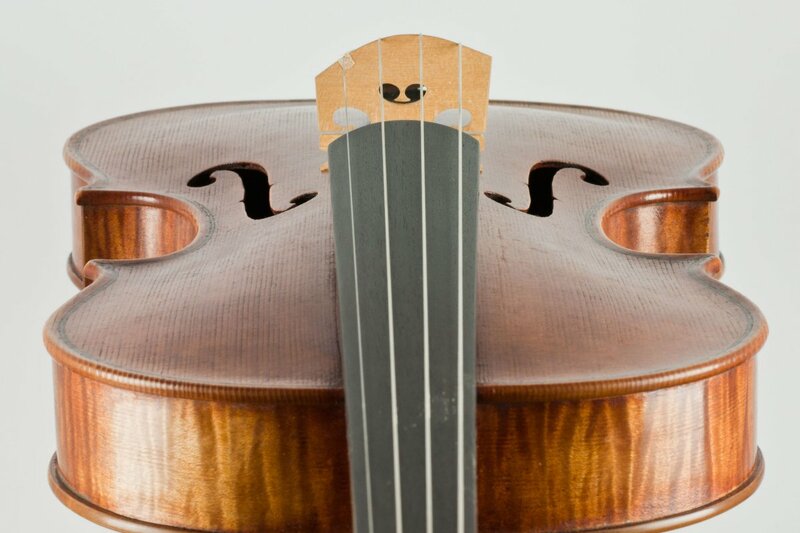 Guarneri del Gesu, a mid period smaller model. An honest reinterpretation of the great masters violins, a strong focussed sound, and easily belying its slightly smaller size. An ideal instrument for the serious player who might want a slightly smaller and comfortable violin with that little bit of extra. The tonewoods used are well seasoned Bosnian maple and Italian Alpine spruce. My oil varnish a rich dark orange red brown, vibrant and transparent, lightly shaded with a textured surface to give a warm mellow appearance. Call or email to try.